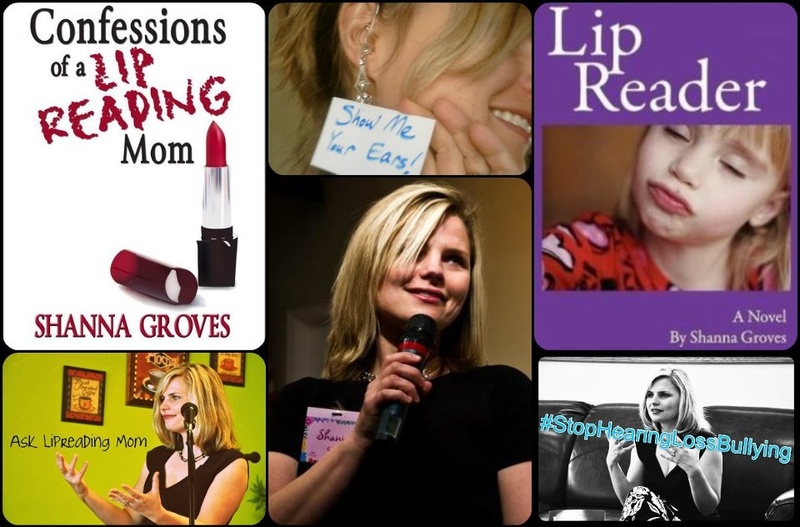 I am Shanna Groves, but you can call me Lipreading Mom. Eighteen years ago, I had my first child. While cuddling, burping and kissing on my baby, my ears rang like crazy. No problem, the doctor told me while I strained to hear him. You’re just going deaf. You need hearing aids. That’s not exactly what he told me. The doctor used the term progressive hearing loss. Same thing as going deaf. I walked out of that medical office with my head spinning. No way in heck I was going to wear hearing aids. Me. 27 years old (at the time). Fresh off of maternity leave. A new job. My hair cut as short as singer Chynna Phillips from her Wilson Phillips’ days. Not a flattering haircut with behind-the-ear hearing aids that plugged into my visible ears like electrical cords. I DON’T ALWAYS PAY ATTENTION TO WHAT DOCTORS TELL ME. Hearing aid wearing mom? Not me, no way. Back then, I’d rather have dyed my hair purple with pink polka dot highlights than worn chunky electronics in my ears. I blew that doctor off. Two years later, my son was old enough to talk. A lot. I had every reason to hide my ears from him. I couldn’t understand a word he said unless it was at piercing scream-level pitch. No more cooing and cuddling for us. It was Hard of Hearing Mom versus Screaming Child. I went back to the doctor. You still have those hearing aids, I asked him. ‘Cause I need them more than ever now. That day, I finally accepted my hearing loss. Now that I have three children ages 11, 14, and 18, communication depends on my acceptance. I must remind my kids to look at me so I can lipread them, speak up and repeat their words slowly. I am a Lipreading Mom, not just Mom or a Lipreader. Both aspects must find a way to live together. Come along on the ride with me. Contact Lipreading Mom at LipreadingMom(at)gmail(dot)com. When did you first notice the ear ringing? I still wonder if mine came from medications given to me when I had my surgery for my miscarriage, I didn’t notice before then and it was such a foggy time, but I recall thinking when Laney was born that I still had the ear ringing I expected to go away after a few weeks from when I lost the baby. 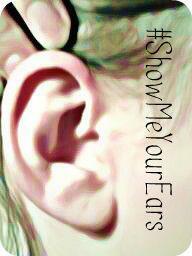 I just wonder if it could be linked to medications and genetics…knowing you have hearing loss in the family. I do too, I had a great aunt with hearing aids and my grandfather refused them but had difficulties. Dawn – I know you can understand the frustrations of not being able to hear well because of tinnitus. Mine could have been related to medication during my hospital stay with the first baby, but doctors aren’t sure. Genetics, medication, noise exposure in my younger years… your guess is as good as mine. Took me time to read all the comments, but I really enjoyed the write-up. It proved to become Pretty useful to me and I am positive to all the commenters here Its always great when you can not only be informed, but also entertained Im certain you had fun writing this write-up. Hello, I have a quick question for you about your site. If you could please get back to me at your earliest convenience I would greatly appreciate it. Have a great day! Thanks for visiting LipreadingMom.com. How can I be of assistance to you? Feel free to email me at sgrovesuss@msn.com. Blessings! Ménière’s disease has been one of the banes of my lifetime. Thanks for providing all the information on it! I think I’ll reblog. Marsha – Thank you for commenting and for your private email. We’ll be in touch! Marsha – Thank you for this wonderful honor! I look forward to promoting your site(s) through my blog. Wow Shanna! Here is my story briefly, I was 24 when I was diagnosed with Bi-lateral Meniere’s. Ringing in the ear or tinnitus, vertigo and progressive hearing loss were place in remission for about 7years. I was HOH for about 5 yrs, yes wearing the BTE on both ears. Then overnight my leaf ear went dead, 3 yrs after that my vertigo began to get really bad. My specialist at Mass Eye and Ear gave me genticymin to control the vertigo. There was a one percent chance that it would effect my hearing in the right ear due to it being toxic. Yup, That one percent found my right ear with in a year. I’m now profoundly deaf, lip read all the time, just had my surgery for a Cochlear Implant and I’m only 42! Kala – Thanks for sharing your story with me. I love your positive attitude! Hi Sandy – Thank you for contacting me. I know that I can learn a lot from your experiences with hearing loss. Please know that I am here if you ever want to chat. Blessings to you! Reading your blogs and learning about your hearing loss experiences makes me feel like I connected with you. I too, suffered a hearing loss, and was diagnosed at age 9. I learned to read-lip on my own before being diagnosed. I started a blog about hearing loss and motivation. You can learn more about my stories and challenging experiences at http://livingwithhearingchallenges.com/. Thank you encouraing others to be inspired. Lip reading is not easy to learn but it’s manageable. Hi Alicia – Thanks for letting me know about your blog. I’ll have to check it out! Thank you so much for liking and following my blog. I look foward to reading your posts. Have a wonderful weekend. Claudette – That is wonderful. So glad you are embracing your life, hearing loss or not! Thank you so much, Rachel. What an honor! Thank you for contacting me, Samantha. I will look for you on Twitter! Hey Shanna! I’m 18 years old girl from Europe (english in not my mother language, so excuse me for mistakes). I have problems with dealing with hearing aids. I was not born deaf or so, my mom first noticed that I have problems with hearing when I was of age 3. I got my first hearing aid at the age of 4 just on one ear but when I turned 5, I was wearing hearing aids on both ears. No doctors could tell what exactly went wrong (probably some thing with nerves which is hard to guess) and I was running around different hospitals with my mom, who is the most caring person in the world. She put so much effort into learning with me, so I could go to school with “normal” children otherside I would had to go to school with children with hearing loss. The problem is that when I was in elementary school, I kind of didn’t care abour hearing aids but with high school my confidence started to fall. I’m still trying to deal with hearing loss and aids, which I don’t like to show, so I always try to hide them with hair in public and wear ponytail only at home. I’m really struggling through this, so I would be glad if you know any of girls of the similar age with which I could talk about my problems, share my thoughts and lifestyle. I really need some emotional support from someone who know how is to be in the world of lip reading, hearing aids etc. My goal is to accept myself and my problems before going to study. Hi Alice – I appreciate you contacting me and sharing your experiences. My friends, Rachel McCallum and Rhianon Gutierrez started a Facebook group for people with hearing loss, ages 18-40, called HEAR YA NOW, at http://www.facebook.com/groups/hearyanow/. Please check it out…and I hope you find wonderful support from it. Thank you for such a fast response and help! Wow, Marsha! Thank you so much. Hi! We met briefly at the HLAA picnic. Are your books available at any of the local libraries? I’m a librarian and a lip reader too. Congratulations on your recognition at the picnic. Hi David – It was nice to meet you as well! Thank you for your interest in my books. Currently, the Johnson County, Kansas, Library System carries my first book, Lip Reader (2009). 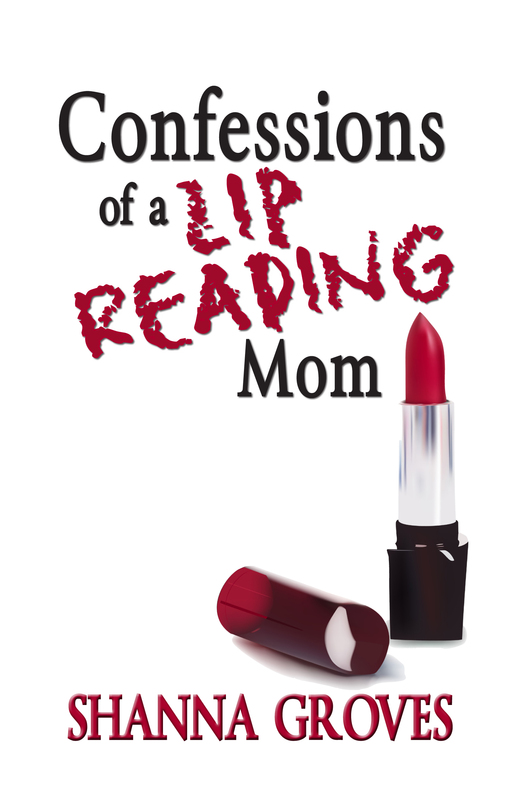 I am working on getting the second book, Confessions of a Lip Reading Mom (2013), added to the library system. If you have any tips on how to successfully do that, please let me know. I can’t tell you what a comfort it is to finally have someone to relate to! I have worn hearing aids since my early 20’s. I run the spectrum from feeling isolated and embarrassed to laughing it off, and giving myself adorable “old lady” names. I can’t wait to read more and more! Sarah C – Thank you for stopping by my blog. I hope we can share experiences and support one another in our Lipreading Mom journey! We are a small company located in beautiful Missoula Montana and we have developed a new tool that will make a huge difference in the lives of the deaf/hearing impaired. A vibrating bracelet via remote control we call a “Nudger”. It is used to get someone’s attention instantly. We went to the Deaf Nation Expo in Las Vegas in July 2016 and the response was overwhelming. We heard some pretty inspiring stories of circumstances in which they wish they would have had a Nudger. One came from a parent of a six year old deaf child that said when he wasn’t in his line of sight; it made it extremely difficult to get his attention, especially to warn him of imminent danger. The ability to alert to danger came up quite a few times. We also heard of a lot of shoe throwing stories to get their attention☺, and how it would benefit them at work. The employer could get their attention when not in their line of sight or in a noisy environment. Any advice, comments and encouragements (positive and negative) would be greatly appreciated. 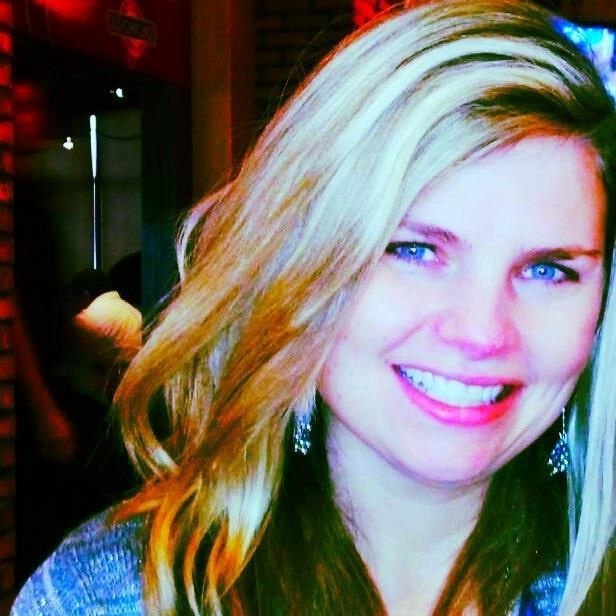 I am a hearing-impaired wife, mom and teacher. It’s glad to see someone being an advocate for those who have hearing losses!! Thank you! Glad to have found your blog.